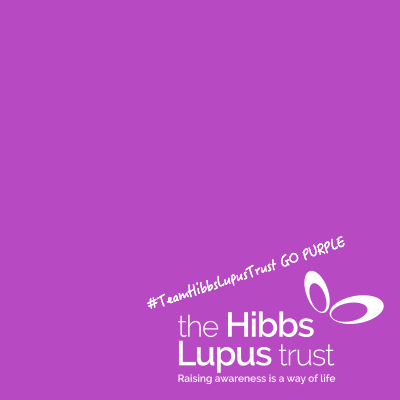 Wear our #TeamHibbsLupusTrust Twibbon with pride and Go Purple for lupus! Join the campaign to raise awareness and funds to support children and adults living with lupus. The Hibbs Lupus Trust support people affected by lupus to make sure that no one faces lupus alone. We're a family of volunteers whose own lives have been affected by lupus. Raising awareness is a way of life.